The destructive forces of wind, flood or machete do not defeat the resilient Haitian reed wozo. Instead, they only make way for it to grow back stronger. It’s also what Snider and Frances Crowhill Miller call their music- and story-based performances that explore grief and loss, trauma healing, resilience, restorative justice, and structural justice and the legacy of colonialism. They first performed Wozo: Songs for Resilience in 2014, and released a CD with that title in 2015. Visit the Sopa Sol website for more information about upcoming events, the Wozo project, and more. The Pennsylvania duo perform as Sopa Sol. They both sing, and Miller plays hang and violin and Snider guitar, sax, oboe and akogo. In January they join Nathan Bontrager and Professor Emeritus Ken Nafziger to present two “Free Range HymnSing” events, one at 6:30 p.m. on Saturday, Jan. 5 at Chestnut Mennonite Church in Lancaster, Pennsylvania, and the other at 3 p.m. on Sunday, Jan. 6 at Community Mennonite Church in Harrisonburg. Their Wozo project specifically grew out their time together at Eastern Mennonite University’s Center for Justice and Peacebuilding (CJP), and studies in the Strategies for Trauma Awareness and Resilience (STAR) program. Miller earned a graduate certificate in conflict transformation in 2011, and Snider a master’s in conflict transformation in 2012. 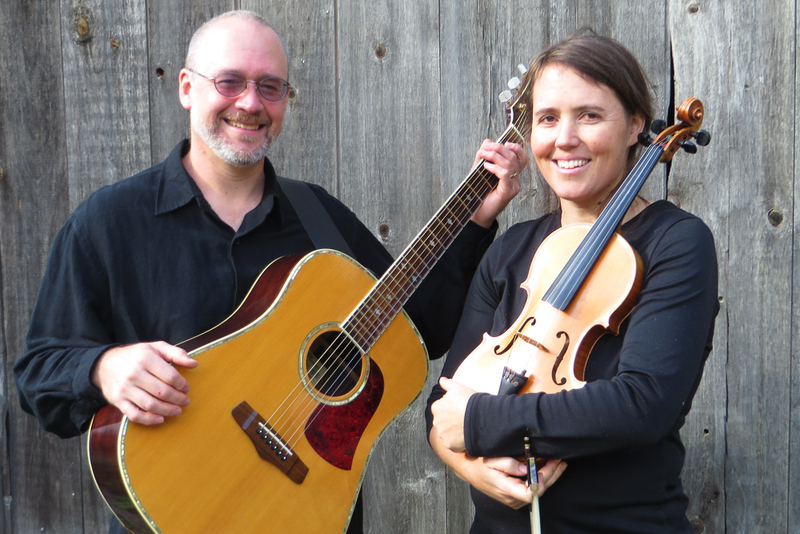 In 2013, after Miller relocated near Snider in Lancaster County, the duo began collaborating to further incorporate their training with music. They realized that their songs fit onto STAR’s “snail model” – a spiral that shows various stops on the journey of breaking cycles of violence and building resilience. While not all Sopa Sol performances are specifically “Wozo,” many of Sopa Sol’s 40 events in the last several years contained elements of the project. As artists, they are “concerned about the musical elements of it, for sure,” Miller said, but the nature of their music means they also have to think about whether they are inviting listeners into a helpful experience. Wozo’s ongoing development is balanced with the rest of their lives – they both perform individually or with other ensembles, too, and Miller has a micro-dairy and two young children – but they see Wozo as a potential resource for many different groups, such as veterans and people who are incarcerated. Great article about a great duo! Kudos to Daryl and Frances for combining their creativity and artistry to help heal hearts and souls and structures. Way to go, you two!